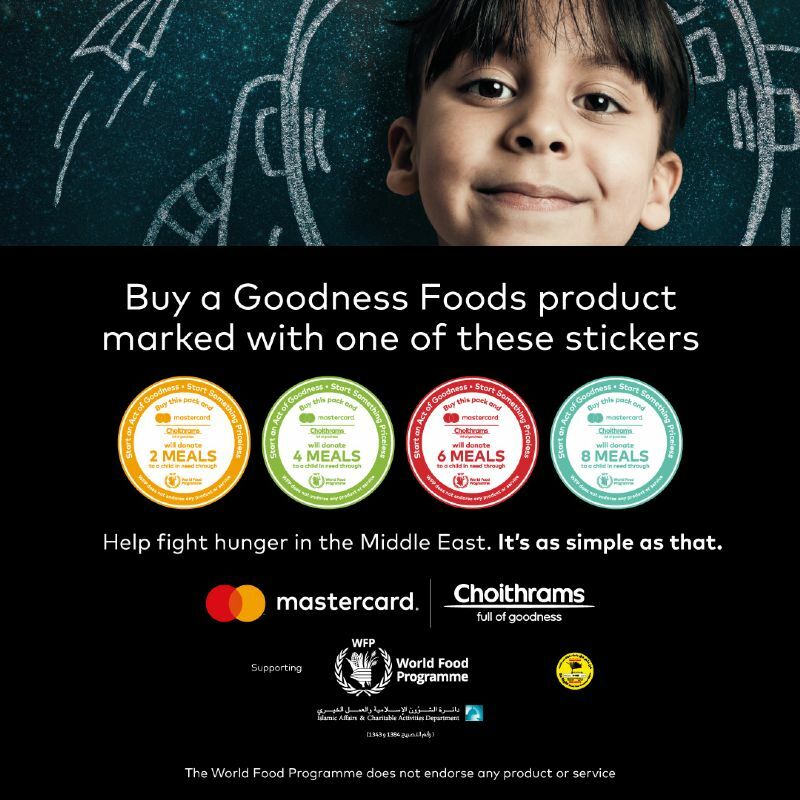 For the fifth time, starting mid-October 2018 until mid-February 2019, Choithrams will run an online and in-store campaign in Dubai to mobilize funds in support of WFP’s School Meals programme in the Middle East. 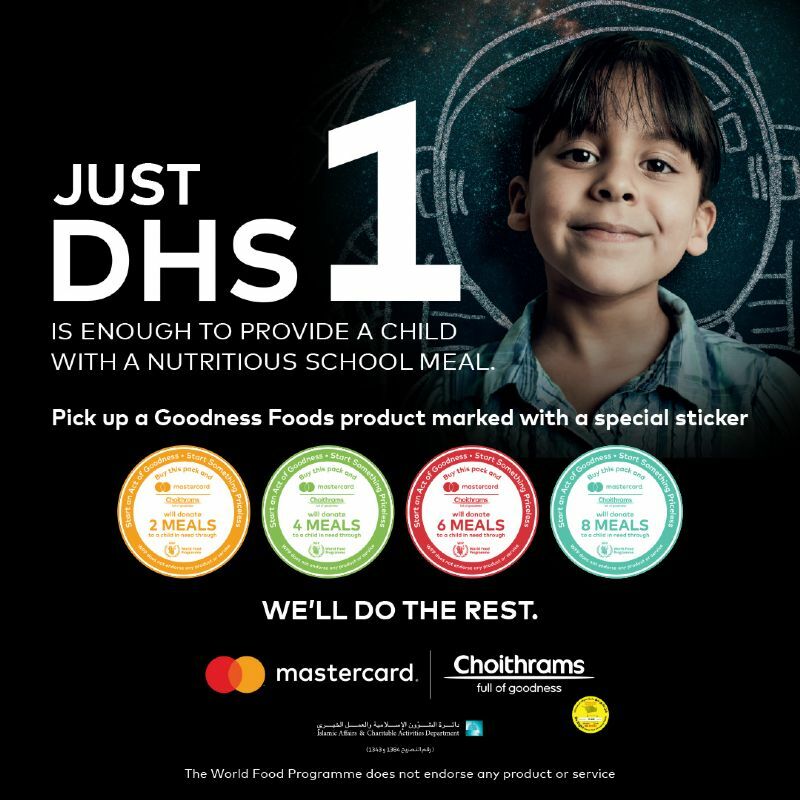 This year, Choithrams is partnering with Mastercard to double the number of school meals that will be delivered to children in need through this initiative. 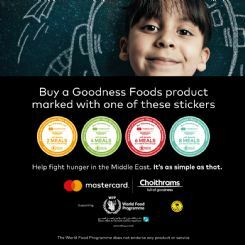 Every time a customer purchases a “Goodness Foods” product marked with a special sticker in selected supermarkets in Dubai or online during the campaign period, Choithrams and Mastercard will each donate between 1 and 4 Emirates dirhams to WFP to support its School Meals programme in the Middle East. Mastercard’s contribution will be capped to US$100,000.